The Prostate Cancer Charity was founded in 1996 by Professor Jonathan Waxman to address the ‘Outrageous and arbitrary surgical treatment of men’. 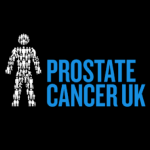 We were the first national organisation for prostate cancer in the UK. Our aim was to improve the care and welfare of those affected by prostate cancer, increase investment in research, and raise public and political awareness of a long-neglected disease. We started small: five members of staff and with our helpline housed in a small room in Hammersmith hospital. It ran one day a week. We merged with Prostate Action in 2012 and completely rebranded to form Prostate Cancer UK. In the last 20 years, we’ve invested over £37 million into ground breaking research, and continue to provide award-winning support for men. We have grown in size, strength and influence but our ambition is the same: to put men at the heart of everything we do.